Professional indemnity insurance may well be a form of cover you’ve never really considered. We get it, you’ve got a lot of other things to think about! However, if you provide advice or professional services to clients, you really should look into the possibility have having indemnity cover in place. With that in mind, let’s go ahead and take a look at some reasons why you may benefit from professional indemnity (PI) insurance. Well, this first reason is pretty straightforward. For some professionals, such as lawyers, doctors, real estate agents and stock agents, it’s mandatory for you to have PI cover in place – this is because your job means you run a higher risk of being on the receiving end of an adverse action. If mandatory professional indemnity cover applies to you, you need to be mindful about keeping your policy up to date. Mistakes happen. Even if you’re diligent with your work, there may come a time when something goes wrong and you find yourself in a situation where a third party is accusing you of negligence or a breach of a professional duty. Although you hope you’ll never have to use your PI cover, having this policy in place provides you with peace of mind that you’re protected. All it takes is for one disgruntled third party to make a claim and you could find yourself liable for thousands of dollars. Even if the claims is isn’t unsuccessful, you’ll often have the expense of having to hire lawyers during the claims process. Unfortunately, many businesses wouldn’t be able to cope with the serious financial hit that can come with an indemnity claim. With PI cover in place, you and your business are protected financially against the financial cost of a claim. There may come a time when you’re accused of negligence or a breach of professional duty and this can be very damaging to your professional reputation. 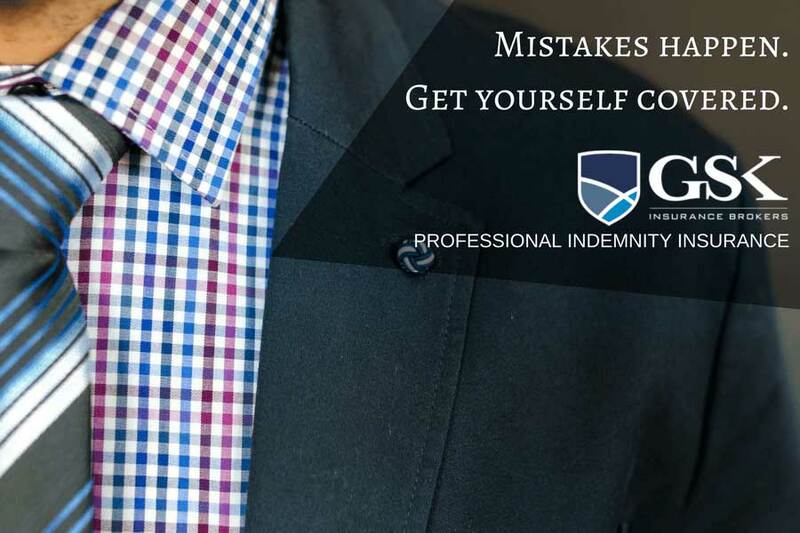 Your professional indemnity cover means you can pursue legal avenues to fight erroneous claims and clear your name without having to worry about the associated costs. If you provide professional advice or services to your clients, it’s understandable that they expect quality service. Having professional indemnity insurance in place show that you’re willing to cover both yourself and them in the event of a claim. Also, these days many clients will request evidence that you have PI cover in place before they continue the business relationship. When it comes to professional indemnity insurance in Perth, GSK Insurance Brokers can help. Our team of experienced brokers will work hard to find the right insurance policy for you at a competitive price. We’re available to answer any questions you might have along the way about your cover and at claim time, we take the stress out by dealing directly with the insurer on your behalf. If you’re looking for a professional indemnity insurance quote, speak to the experienced team at GSK Insurance Brokers today on 08 9478 1933.